Check it out, guys. It's a creepy revelation about the government spying on your phone calls that didn't come from Edward Snowden's NSA leak. 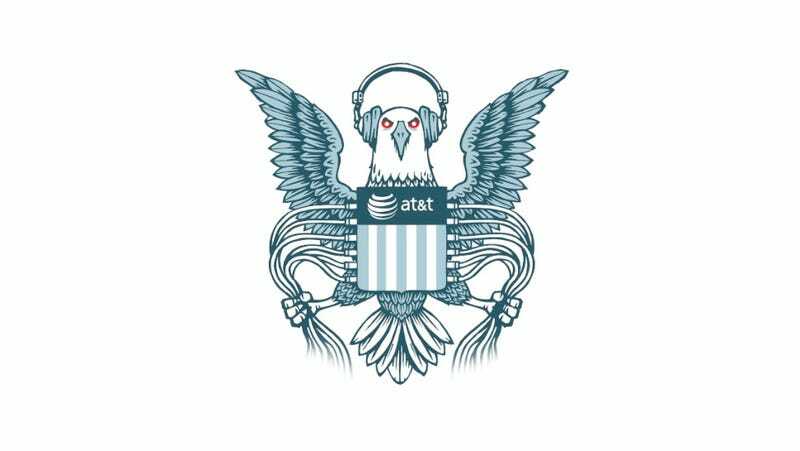 Nope, just your standard sketchy CIA arrangements with a telecommunications company—AT&T to be exact. Turns out the spy agency's reportedly been paying AT&T over $10 million a year to spy on phone calls. The CIA simply gives AT&T a list of numbers, and AT&T voluntarily serves up the data. (No subpoena or warrant required!) They're mainly after the phone records of overseas terrorism suspects but sometimes Americans find their way into the mix. In this case, AT&T "masks" several digits of the Americans' phone numbers, though if the CIA wants to find out who those people are, they just have to ask the FBI to issue a subpoena. And let's not forget that when the CIA pays for AT&T's help, the money's coming right out of taxpayers' pockets. AT&T's starting to look like a real pawn in this game, too. This is the same company that let the NSA tap directly into its fiber optic cables during the Bush era. It's also the same company that embedded employees in the FBI as well as drug agencies to help them tap phones better. They didn't just look at phone records in real time, either. AT&T built a massive database of every phone call that's passed through their switches for nearly three decades.